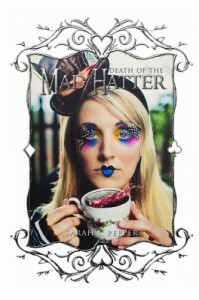 Death of the Mad Hatter is a breezy, fresh take on Alice in Wonderland , Set in the present day, the story alternates between the narrations of Alice herself and Ryley Edgar, who may be related to Wonderland royalty. 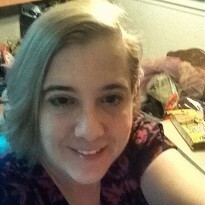 Alice is originally from the "Otherworld" (our world) and talks about her fall through the rabbit hole and her run-ins with the Queen of Hearts, the Mad Hatter and other familiar characters from the well-loved tale. She is on a mission from Wonderland and may or may not be a double agent. Ryley moved more than 20 times until his father was committed to a mental hospital and he and his mother finally settled down. He is most concerned with being as typical a teenage boy as possible and is thrown for a loop when Alice Mae arrives at his school. I love the Alice character. She is obviously at a loss in the modern world, although I think she might have fit in with steampunk kids. She is very Victorian in her attitudes and style of dress, with just a hint of the modern world thrown in. Ryley is a typical teenage boy, reminding me very much of my own kids. I was impressed by how he matured through the book and learned to not just think about himself. All-in-all I really enjoyed this story. It was a fun read and stayed true to the original tale. In addition, it was a fresh take I had never read before. However, I did feel that the new version was a little over-simplified. Lewis Carroll's original version had a layer of political satire under the "children's story" which does not exist in this version.